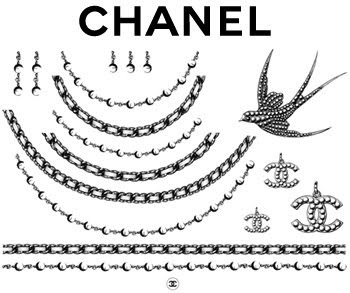 Temporary Tattoos, Chanel released it first on Spring 2010, then Betsey recently debuted hers as well. Chanel costing $75, and Betsey’s for $25. But if you ask me I’d rather have mine inked on me, I’ve been obsessing about having tattoo, for so long…I was still in grade school, where I used to doodle, cupcakes and stars on my hands and arms, with pens and colorful markers, Haha. Up to today I still do, but I’m still building up the courage to finally do it, cuz I might regret it, maybe my design wont go as I wanted. 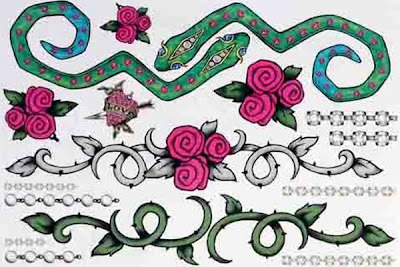 Right now I’m just looking for a really good tattoo artist. What do you prefer? Temporary or Permanent?? ?